TV (and video) is a visual medium, so how you look has even more impact than in real life. Viewers engage with their eyes first, then their ears. If there’s ANYTHING distracting about how a person looks on TV, viewers won’t pay attention to what they say. 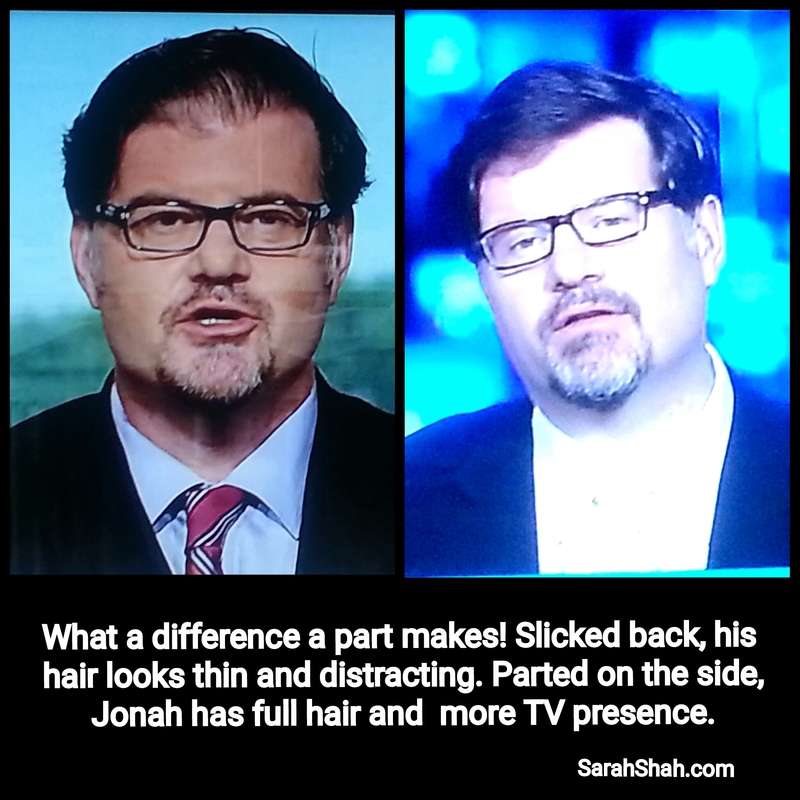 Jonah Goldberg, Senior Editor of The National Review, appears regularly as a broadcast expert. He has a unique hairline, dipping down into his forehead. The characteristics of his hairline create some challenges. When Goldberg wears his hair slicked back or parted in the middle, his hairline is prominent and creates the illusion that his hair is thin. When his hair looks thin, his beard looks thin too. This is very distracting when he appears on TV. It’s hard to hear what he says about a topic when his hair attracts so much attention. Recently, Goldberg changed his hair styling and parted it on the side. This was a brilliant move. When his hair is parted on the side, his bangs merge with his hairline and make an even frame for his face. With a side part, his hair looks full. He has more TV presence with a side part because his hair doesn’t pull attention away from his words.